Front Pharmacol. 2017 Sep 22;8:676. doi: 10.3389/fphar.2017.00676. eCollection 2017. Lucchi C, Costa AM, Giordano C, Curia G, Piat M, Leo G, Vinet J, Brunel L, Fehrentz JA, Martinez J, Torsello A, Biagini G.
Ghrelin, des-acyl ghrelin and other related peptides possess anticonvulsant activities. Although ghrelin and cognate peptides were shown to physiologically regulate only the ghrelin receptor, some of them were pharmacologically proved to activate the peroxisome proliferator-activated receptor gamma (PPARγ) through stimulation of the scavenger receptor CD36 in macrophages. In our study, we challenged the hypothesis that PPARγ could be involved in the anticonvulsant effects of EP-80317, a ghrelin receptor antagonist. For this purpose, we used the PPARγ antagonist GW9662 to evaluate the modulation of EP-80317 anticonvulsant properties in two different models. Firstly, the anticonvulsant effects of EP-80317 were studied in rats treated with pilocarpine to induce status epilepticus (SE). Secondly, the anticonvulsant activity of EP-80317 was ascertained in the repeated 6-Hz corneal stimulation model in mice. Behavioral and video electrocorticographic (ECoG) analyses were performed in both models. We also characterized levels of immunoreactivity for PPARγ in the hippocampus of 6-Hz corneally stimulated mice. EP-80317 predictably antagonized seizures in both models. Pretreatment with GW9662 counteracted almost all EP-80317 effects both in mice and rats. Only the effects of EP-80317 on power spectra of ECoGs recorded during repeated 6-Hz corneal stimulation were practically unaffected by GW9662 administration. Moreover, GW9662 alone produced a decrease in the latency of tonic-clonic seizures and accelerated the onset of SE in rats. Finally, in the hippocampus of mice treated with EP-80317 we found increased levels of PPARγ immunoreactivity. Overall, these results support the hypothesis that PPARγ is able to modulate seizures and mediates the anticonvulsant effects of EP-80317. Chemistry. 2017 Dec 11;23(69):17584-17591. doi: 10.1002/chem.201704001. Epub 2017 Nov 15. Bonnel C, Legrand B, Simon M, Martinez J, Bantignies JL, Kang YK, Wenger E, Hoh F, Masurier N, Maillard LT. 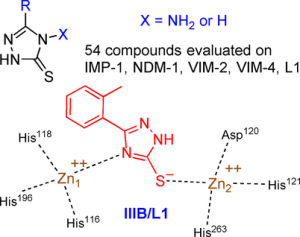 According to their restricted conformational freedom, heterocyclic γ-amino acids are usually considered to be related to Z-vinylogous γ-amino acids. In this context, oligomers alternating α-amino acids and thiazole-based γ-amino acids (ATCs) were expected to fold into a canonical 12-helical shape as described for α/γ-hybrid peptides composed of cis-α/β-unsaturated γ-amino acids. 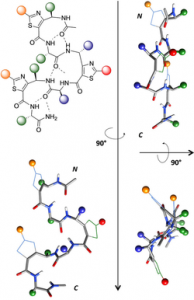 However, through a combination of X-ray crystallography, NMR spectroscopy, FTIR experiments, and DFT calculations, it was determined that the folding behavior of ATC-containing hybrid peptides is much more complex. The homochiral α/(S)-ATC sequences were unable to adopt a stable conformation, whereas the heterochiral α/(R)-ATC peptides displayed novel ribbon structures stabilized by unusual C9/12 -bifurcated hydrogen bonds. These ribbon structures could be considered as a succession of pre-organized γ/α dipeptides and may provide the basis for designing original α-helix mimics. Chembiochem 2017 Nov 2;18(21):2110-2114. doi: 10.1002/cbic.201700455. Epub 2017 Sep 22. Vezenkov LL, Martin V, Bettache N, Simon M, Messerschmitt A, Legrand B, Bantignies JL, Subra G, Maynadier M, Bellet V, Garcia M, Martinez J, Amblard M.
Different intracellular delivery systems of bioactive compounds have been developed, including cell-penetrating peptides. Although usually nontoxic and biocompatible, these vectors share some of the general drawbacks of peptides, notably low bioavailability and susceptibility to protease degradation, that limit their use. Herein, the conversion of short peptide sequences into poly-α-amino-γ-lactam foldamers that adopt a ribbon-like structure is investigated. This template is used to distribute critical cationic and/or hydrophobic groups on both sides of the backbone, leading to potent short, cell-permeable foldamers with a low positive-charge content. The lead compound showed dramatically improved protease resistance and was able to efficiently deliver a biologically relevant cargo inside cells. This study provided a simple strategy to convert short peptide sequences into efficient protease-resistant cell-penetrating foldamers. Int J Pharm. 2017 Nov 5;532(2):790-801. doi: 10.1016/j.ijpharm.2017.07.074. Epub 2017 Jul 27. Zayed M, Tourne-Peteilh C, Ramonda M, Rethore G, Weiss P, Martinez J, Subra G, Mehdi A, Devoisselle JM, Legrand P.
Combined therapy is a global strategy developed to prevent drug resistance in cancer and infectious diseases. In this field, there is a need of multifunctional drug delivery systems able to co-encapsulate small drug molecules, peptides, proteins, associated to targeting functions, nanoparticles. Silylated hydrogels are alkoxysilane hybrid polymers that can be engaged in a sol-gel process, providing chemical cross linking in physiological conditions, and functionalized biocompatible hybrid materials. In the present work, microgels were prepared with silylated (hydroxypropyl)methyl cellulose (Si-HPMC) that was chemically cross linked in soft conditions of pH and temperature. They were prepared by an emulsion templating process, water in oil (W/O), as microreactors where the condensation reaction took place. The ability to functionalize the microgels, so-called FMGs, in a one-pot process, was evaluated by grafting a silylated hydrophilic model drug, fluorescein (Si-Fluor), using the same reaction of condensation. Biphasic microgels (BPMGs) were prepared to evaluate their potential to encapsulate lipophilic model drug (Nile red). They were composed of two separate compartments, one oily phase (sesame oil) trapped in the cross linked Si-HPMC hydrophilic phase. The FMGs and BPMGs were characterized by different microscopic techniques (optic, epi-fluorescence, Confocal Laser Scanning Microscopy and scanning electronic microscopy), the mechanical properties were monitored using nano indentation by Atomic Force Microscopy (AFM), and different preliminary tests were performed to evaluate their chemical and physical stability. Finally, it was demonstrated that it is possible to co-encapsulate both hydrophilic and hydrophobic drugs, in silylated microgels, that were physically and chemically stable. They were obtained by chemical cross linking in soft conditions, and without surfactant addition during the emulsification process. The amount of drug loaded was in favor of further biological activity. Mechanical stimulations should be necessary to trigger drug release. Front Pharmacol. 2017, Mar 30;8:167. doi: 10.3389/fphar.2017.00167. eCollection 2017. Molteni L, Rizzi L, Bresciani E, Possenti R, Petrocchi Passeri P, Ghè C, Muccioli G, Fehrentz JA, Verdié P, Martinez J, Omeljaniuk RJ, Biagini G, Binda A, Rivolta I, Locatelli V, Torsello A.
VGF is a propeptide of 617 amino acids expressed throughout the central and the peripheral nervous system. VGF and peptides derived from its processing have been found in dense core vesicles and are released from neuronal and neuroendocrine cells via the regulated secretory pathway. Among VGF-derived neuropeptides, TLQP-21 (VGF556-576) has raised a huge interest and is one of most studied. TLQP-21 is a multifunctional neuropeptide involved in the control of several physiological functions, potentially including energy homeostasis, pain modulation, stress responsiveness and reproduction. Although little information is available about its receptor and the intracellular mechanisms mediating its biological effects, recent reports suggest that TLQP-21 may bind to the complement receptors C3aR1 and/or gC1qR. The first aim of this study was to ascertain the existence and nature of TLQP-21 binding sites in CHO cells. Secondly, we endeavored to characterize the ligand binding to these sites by using a small panel of VGF-derived peptides. And finally, we investigated the influence of TLQP-21 on selected intracellular signaling pathways. We report that CHO cells express a single class of saturable and specific binding sites for TLQP-21 with an affinity and capacity of Kd = 0.55 ± 0.05 × 10-9 M and Bmax = 81.7 ± 3.9 fmol/mg protein, respectively. Among the many bioactive products derived from the C-terminal region of VGF that we tested, TLQP-21 was the most potent in stimulating intracellular calcium mobilization in CHO cells; this effect is primarily due to its C-terminal fragment (HFHH-10). 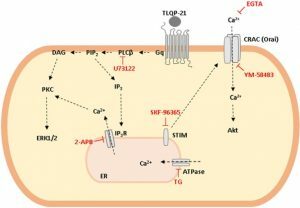 TLQP-21 induced rapid and transient dephosphorylation of phospholipase Cγ1 and phospholipase A2. Generation of IP3 and diacylglycerol was crucial for TLQP-21 bioactivity. 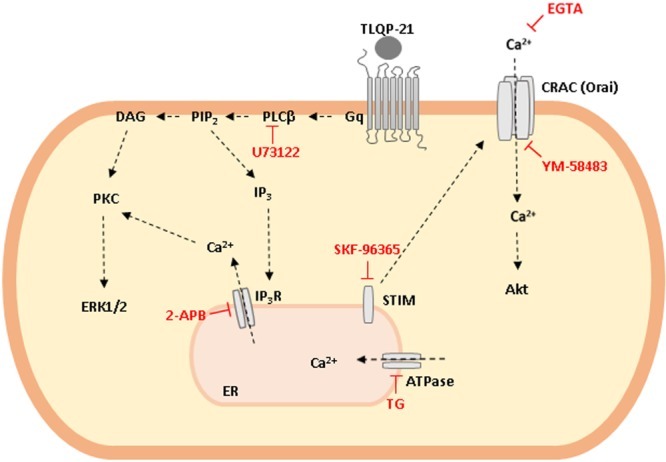 In conclusion, our results suggest that the receptor stimulated by TLQP-21 belongs to the family of the Gq-coupled receptors, and its activation first increases membrane-lipid derived second messengers which thereby induce the mobilization of Ca2+ from the endoplasmic reticulum followed by a slower store-operated Ca2+ entry from outside the cell. Growth hormone secretagogues prevent dysregulation of skeletal muscle calcium homeostasis in a rat model of cisplatin-induced cachexia. J Cachexia Sarcopenia Muscle. 2017, Jun;8(3):386-404. doi: 10.1002/jcsm.12185. Epub 2017 Mar 10. Conte E, Camerino GM, Mele A, De Bellis M, Pierno S, Rana F, Fonzino A, Caloiero R, Rizzi L, Bresciani E, Ben Haj Salah K, Fehrentz JA, Martinez J, Giustino A, Mariggiò MA, Coluccia M, Tricarico D, Lograno MD, De Luca A, Torsello A, Conte D, Liantonio A.
Cachexia is a wasting condition associated with cancer types and, at the same time, is a serious and dose-limiting side effect of cancer chemotherapy. Skeletal muscle loss is one of the main characteristics of cachexia that significantly contributes to the functional muscle impairment. Calcium-dependent signaling pathways are believed to play an important role in skeletal muscle decline observed in cachexia, but whether intracellular calcium homeostasis is affected in this situation remains uncertain. Growth hormone secretagogues (GHS), a family of synthetic agonists of ghrelin receptor (GHS-R1a), are being developed as a therapeutic option for cancer cachexia syndrome; however, the exact mechanism by which GHS interfere with skeletal muscle is not fully understood. By a multidisciplinary approach ranging from cytofluorometry and electrophysiology to gene expression and histology, we characterized the calcium homeostasis in fast-twitch extensor digitorum longus (EDL) muscle of adult rats with cisplatin-induced cachexia and established the potential beneficial effects of two GHS (hexarelin and JMV2894) at this level. Additionally, in vivo measures of grip strength and of ultrasonography recordings allowed us to evaluate the functional impact of GHS therapeutic intervention. Cisplatin-treated EDL muscle fibres were characterized by a ~18% significant reduction of the muscle weight and fibre diameter together with an up-regulation of atrogin1/Murf-1 genes and a down-regulation of Pgc1-a gene, all indexes of muscle atrophy, and by a two-fold increase in resting intracellular calcium, [Ca2+ ]i , compared with control rats. Moreover, the amplitude of the calcium transient induced by caffeine or depolarizing high potassium solution as well as the store-operated calcium entry were ~50% significantly reduced in cisplatin-treated rats. Calcium homeostasis dysregulation parallels with changes of functional ex vivo (excitability and resting macroscopic conductance) and in vivo (forelimb force and muscle volume) outcomes in cachectic animals. 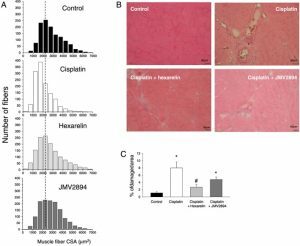 Administration of hexarelin or JMV2894 markedly reduced the cisplatin-induced alteration of calcium homeostasis by both common as well as drug-specific mechanisms of action. This effect correlated with muscle function preservation as well as amelioration of various atrophic indexes, thus supporting the functional impact of GHS activity on calcium homeostasis. Our findings provide a direct evidence that a dysregulation of calcium homeostasis plays a key role in cisplatin-induced model of cachexia gaining insight into the etiopathogenesis of this form of muscle wasting. Furthermore, our demonstration that GHS administration efficaciously prevents cisplatin-induced calcium homeostasis alteration contributes to elucidate the mechanism of action through which GHS could potentially ameliorate chemotherapy-associated cachexia. Rivolta I, Binda A, Molteni L, Rizzi L, Bresciani E, Possenti R, Fehrentz JA, Verdié P, Martinez J, Omeljaniuk RJ, Locatelli V, Torsello A.
TLQP-21 (TLQPPASSRRRHFHHALPPAR) is a multifunctional peptide that is involved in the control of physiological functions, including feeding, reproduction, stress responsiveness, and general homeostasis. Despite the huge interest in TLQP-21 biological activity, very little is known about its intracellular mechanisms of action. In microglial cells, TLQP-21 stimulates increases of intracellular Ca2+ that may activate functions, including proliferation, migration, phagocytosis and production of inflammatory molecules. Our aim was to investigate whether JMV5656 (RRRHFHHALPPAR), a novel short analogue of TLQP-21, stimulates intracellular Ca2+ in the N9 microglia cells, and whether this Ca2+ elevation is coupled with the activation Ca2+-sensitive K+ channels. TLQP-21 and JMV5656 induced a sharp, dose-dependent increment in intracellular calcium. In 77% of cells, JMV5656 also caused an increase in the total outward currents, which was blunted by TEA (tetraethyl ammonium chloride), a non-selective blocker of voltage-dependent and Ca2+-activated potassium (K+) channels. Moreover, the effects of ion channel blockers charybdotoxin and iberiotoxin, suggested that multiple calcium-activated K+ channel types drove the outward current stimulated by JMV5656. 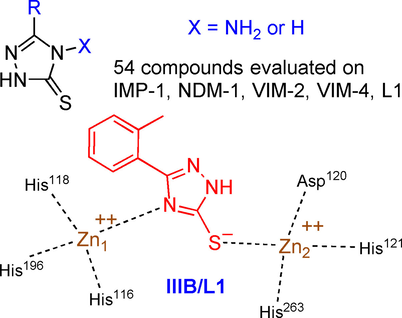 Additionally, inhibition of JMV5656-stimulated outward currents by NS6180 (4-[[3-(trifluoromethyl)phenyl]methyl]-2H-1,4 benzothiazin-3(4H)-one) and TRAM-34 (triarylmethane-34), indicated that KCa3.1 channels are involved in this JMV5656 mechanisms of action. In summary, we demonstrate that, in N9 microglia cells, the interaction of JMV5656 with the TLQP-21 receptors induced an increase in intracellular Ca2+, and, following extracellular Ca2+ entry, the opening of KCa3.1 channels.